Dr. Lauren Herckis is an adjunct professor of anthropology in the history department at Carnegie Mellon University. 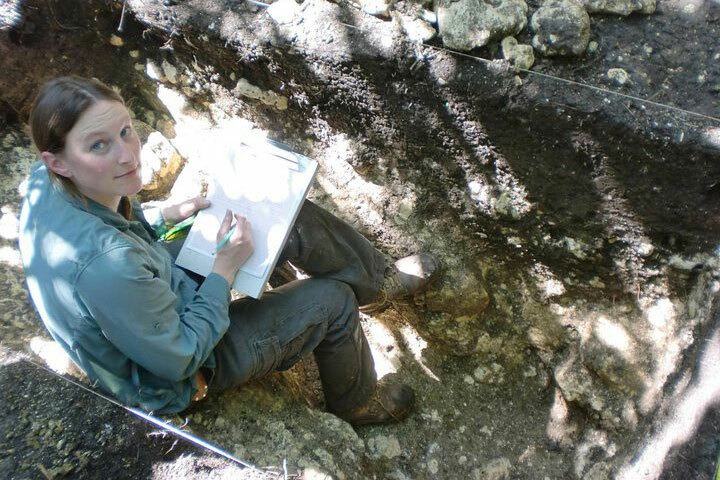 Much of her anthropological work is concentrated in and around the Maya city of Palenque in Mexico, though she is currently residing in Pittsburgh to conduct anthropological research at CMU. Living within close proximity to the Museum of Natural History and Phipps Conservatory is perfect for her and her family. She often takes her nearly three year-old daughter out to explore and play; with her 18 year-old son, Prof. Herckis reconnects with her love of video games without growing too obsessed, as she fears she would if she played on her own. 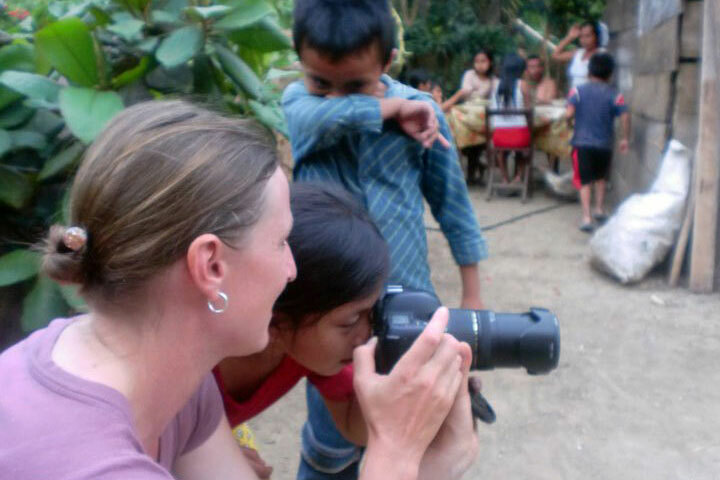 When she gets the chance, she also enjoys live music and cooking in convenient and delicious new ways she has learned in her fieldwork. Seated in front of a wall of bookshelves with a trademark brown leather hat on top, she is never very far away from her research. While the hat is practical, it is mostly a nod to the romanticized—and inaccurate— version of archaeology we see in movies. Prof. Herckis assures us that there is much more to archaeology than digging in the dirt (and a lot less shooting guns and cracking whips). She actually spends more time working carefully with machines and colleagues to analyze data. While recovering artifacts is always exciting, Prof. Herckis most enjoys time in the field immersed in the surrounding culture. She likes to walk in the woods between excavation spots and just breathe deeply. She explains, “I really love getting to know the places where I am—both the area and the people. I love pretty much anything outdoors and anything that allows me to talk to new people and hear about different ways of seeing the world.” Though Prof. Herckis specializes in Southern Mexico, the “where” is always changing. It was in college when she decided it was time to see the world and began taking road trips all over the US. She saw “all kinds of weird places that are really important to the people who live nearby.” This relationship between things and inhabitants piqued her emerging anthropological interests. Now Prof. Herckis gets to satisfy her desire to travel, constantly getting to know “new flavors and new smells.” She continues to see the world as she conducts research and attends conferences in other countries. Some of the most rewarding moments of the job are sharing her findings with friends, family, and colleagues. Whenever she travels, Prof. Herckis “like[s] getting to know new places from the perspective of people who live there.” She says, “I also really love spending enough time somewhere that I get to know it, as opposed to just passing through.” For her, every new place is an opportunity to have new experiences and learn new viewpoints. Is there someplace she has not yet been but would like to go? “Everywhere!” Prof. Herckis feels it is a privilege to talk to people whose experiences are so different from her own, though she believes, “people are people, everywhere you go.” Her open-mindedness and willingness to learn are attributes that serve her well in the field, enabling her to achieve her goals of bettering herself and engaging with others. Prof. Herckis encourages her students to be open to new ideas so as not to miss out on any wonderful opportunities for adventure that come their way. #FacultyFriday: Lauren Herckis is an anthropologist at Carnegie Mellon University who specializes in faculty culture and the use of technology in higher education. She has been an instructor for the History Department since 2016.